The Vantage-Vac is a highly portable, yet powerful gas powered removal vacuum. Whether the insulation is wet, fire damaged or smoke damaged, the Vantage-Vac has power to spare to handle even the most difficult insulation removal jobs. 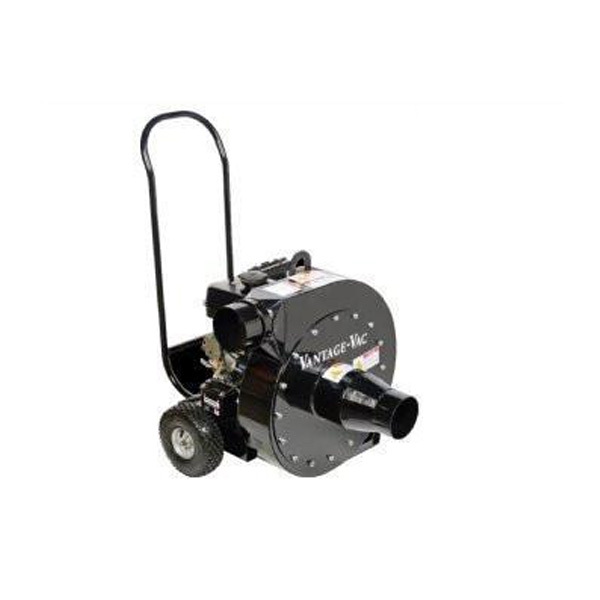 Its compact, two wheeled design allows for close placement to the removal area, resulting in shorter hoses and reserving the power of the Vantage-Vac to efficiently move hard-to-handle material. The outlet can be configured to discharge directly into a reusable or disposable collection bag, or a Dumpster or roll-off. Our Ultimate shut-off nozzles feature ball closing action, are lightweight and have an airtight shut-off. They are of the highest quality and can be easily disassembled to replace worn parts. Comes with Viton o-rings and seals.